For 2,000 years, the tension between Christians and Jews has grown out of the way each side views the person of Jesus of Nazareth. This problem was the theme of a widely acclaimed novel by Chaim Potok My Name is Asher Lev. Fictional Asher Lev was born with a prodigious artistic ability into a Hasidic Jewish family, set in the 1950s in the time of Joseph Stalin and the persecution of Jews in the Soviet Union. During Asher’s childhood, his artistic inclination brings him into conflict with the members of his Jewish community, which values things primarily as they relate to faith and considers art unrelated to religious expression to be at best a waste of time and possibly a sacrilege. Asher begins to go to art museums where he studies paintings. He becomes very interested in the paintings, especially the ones of the crucifixions. He starts copying the paintings of the crucifixions and nudes, but this would only get him into trouble. Potok’s book raises many important question for today’s world that are still under discussion. This tension makes a current painting exhibition in Jerusalem’s Israel Museum particularly important. Entitled “Behold the Man: Jesus in Israeli Art,” director James Snyder believes that the exhibited works transcend time, place, culture, and even religion. He contends this theme is a universal impulse that helps us define our own identity from the symbols that part of collective world history. The intent of the unusual exhibit is to bring insight into Jesus the man rather than the ubiquitous icon. The ideal of this exhibit is set against a persistent theme in the experience of the Jewish people. 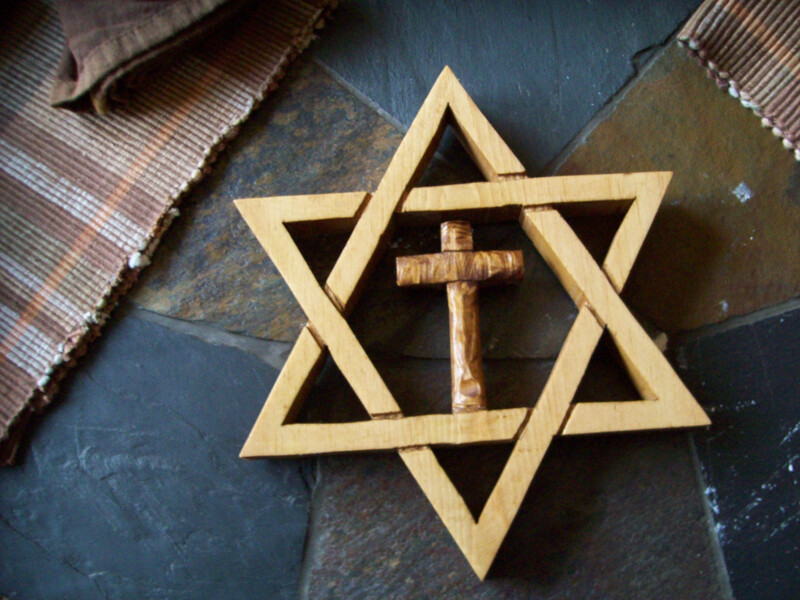 With a history that includes the Inquisition held by the Roman Catholic Church which resulted in the death and persecution of Jews as well as additional struggles through the centuries, it remains difficult for Jews (particularly Orthodox Jews) to see any personal application for their people. Contemporary Christians tend to “not get it” when this history is brought up. Consequently, we have one side that doesn’t understand how anti-Semitism applies to them and the other side that has lived through a persistent history of pain. The exhibit attempts to confront both issues. Jewish artist Marc Chagall’s The Crucified is part of this irony. Perhaps, the greatest Jewish artist of the 20th century, Chagall (Like Asher Lev) had his own obsession with the figure of Jesus. In producing many pictures of the crucified Jesus, Chagall remained 100% Jewish. Possibly the Jerusalem Israel Museum exhibit marks a turning point in how Jews and Christians have seen each other for over 2,000 years. A new examination of the history, the icon, the person of Jesus the man, the unfolding details of history will allow a new door to open. Possibly Jews will be able to see the Christian world as no longer chasing them while Christians embrace Jews as the elder brother who is to be loved and respected.